Update: We did some more digging around and found out the root cause of the 1060 3GB not mining Ethereum: a windows 10 update that has increased the OS footprint on the vRAM. Earlier today, our US & Youtube Editor, Keith May discovered something pretty darn interesting. On a very lean windows installation, Ethereum mining is now over 3 GB in size. This might sound like random gibberish to the average person, but to the crypto-enthusiast this has far reaching implications. In layman’s terms, it means that the graphics memory required to mine ETH is now over 3GB in size, making most of the economical variants of the GTX 1060 useless in a mining rig. While the DAG file itself is still smaller than the 3GB limit, there is a small portion of memory that is occupied by the OS and other entities as well. After the recent windows update, it is not not possible to mine Ethereum on a normal windows build with a 3GB 1060. You can still however mine it on Windows Server or Linux which do not take up as much vRAM as Windows 10. The current DAG file size is 2.33 GB which essentially means that windows is now taking up more than 660 mb of vRAM under windows 10 conditions. We are running a very learn installation of windows 10 and were unable to mine on it. As mentioned previously, Windows Server and Linux based rigs should still work fine. The DAG file is a directed acyclic graph that initially stood for “Dagger Hashimoto”. The DAG file is what makes the Ethash an ASIC resistant algorithm and essentially needs to be stored in the miner’s memory while the processor does what it does. Earlier today Keith discovered that the file size as well as the OS footprint exceeds 3GB meaning that a certain tier of graphics cards has been eliminated from potential mining equipment in one shot. If you have a GTX 1060 3GB based mining rig, it is now no longer feasible for mining ETH – on Windows 10. The DAG file changes after certain time periods to make ASIC mining more difficult and there had been rumors of an ASIC that could be used to mine ETH. This change would quickly take care of that because any ASICs designed up till this point in time are rendered unusable. Of course, you could still mine some other algorithm and convert it to ETH but dedicated Ethash mining will no longer be possible on the cheaper variants of 1060 (and Windows 10). Since ETH was the popular choice amongs miners, this will lead to quick and seeping changes in the market. There are still expensive variants out there that house 6GB of vRAM and those will work just fine, but most miners we have seen have gone with the more economic version. This is going to have very interesting consequences for the market dynamics. 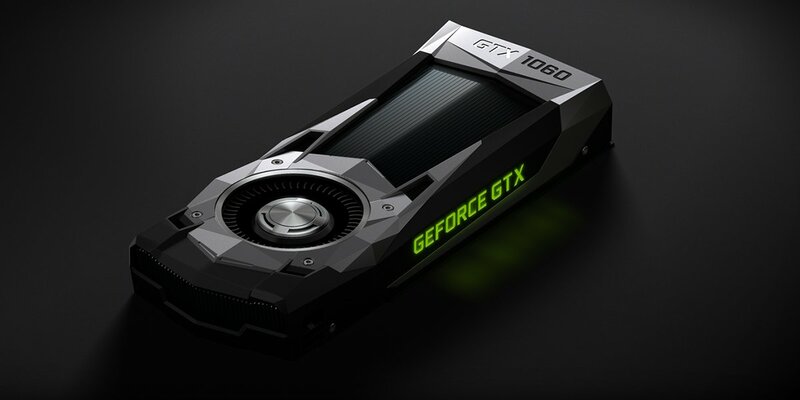 Since GeForce GTX 1060 3GBs are suddenly less than optimal for mining purposes, you will see an increase in 1060s dumped to the second hand market flooding it with cheap GPUs that anyone can snag up. While we would recommend exercising extreme caution in selecting a second hand GPU from any bulk seller, this will also mean that new GTX 1060 3GB prices should start to return to normality and gamers will finally be able to claim one class of card as their own (that is to say, the entry-level market). At the same time, the demand for AMD Radeon GPUs is going to rise. For example AMD’s RX 570, which has 4GB of vRAM will suddenly become a lot more attractive to miners who are going after the sweet price power efficiency spot, not to mention the RX 580 and Vega 56 all have 8GB of vRAM which will remain adequate for quite some time. Because of this we expect supply of the RX 570 and RX 580 to be impacted the most (as well as the RX 400 series variants), followed by the RX Vega 56 (which was already pretty popular among miners), raising prices and drying up inventory on hand. If you were out on the market to buy any of the above cards, you might want to move fast.